Includes Cities/Towns: Barryville, Bethel, Bloomingburg, Callicoon, Callicoon Center, Claryville, Cochecton, Cochecton Center, Fallsburg, Ferndale, Forestburgh, Fremont Center, Glen Spey, Glen Wild, Grahamsville, Hankins, Harris, Highland Lake, Hortonville, Huguenot, Hurleyville, Jeffersonville, Kauneonga Lake, Kenoza Lake, Kiamesha Lake, Lake Huntington, Liberty, Livingston Manor, Loch Sheldrake, Long Eddy, Mongaup Valley, Monticello, Rock Hill, Swan Lake, Westbrookville, White Lake, White Sulphur Springs, Woodbourne, Woodridge, Wurtsboro, Youngsville, Yulan. 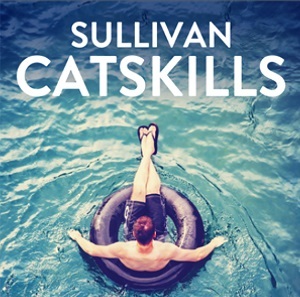 The Sullivan Catskills is full of soft adventure from Rafting and kayaking down the Delaware River to fly fishing in the world famous Beaverkill and Willowemoc Rivers. Hiking in the Catskill Park or Bashakill Wildlife Area. Golf at some of the finest courses or just relax and enjoy the rural setting while enjoying the many farm markets. The Sullivan Catskills offers one of the premier music venue at the original '69 Woodstock Festival now the Bethel Woods Center for the Arts and Museum. There is also the Forestburgh Playhouse, offering a schedule of Broadway performances and the Delaware Valley Arts Alliance with arts and cultural events and venues. Soon to be added is the Montreign/Adelaar Casino Resort and Waterpark as well as Veria Z living Wellness Spa. There are quaint villages and hamlets for a different shopping and dining experience and local food and craft beverages. Crystal Run Health Care is a full service provider connected to major hospitals in the Sullivan area and Hudson Valley. Catskill Regional Hospital offers the latest in health care with several branches throughout the County and connections to other providers. Jan 12.6 F° 22.1 F° 31.6 F° 3.7 "
Feb 14.1 F° 24.3 F° 34.5 F° 2.9 "
Mar 22.6 F° 33.2 F° 43.8 F° 3.8 "
Apr 33.1 F° 44.4 F° 55.8 F° 4.2 "
May 43.4 F° 55.5 F° 67.6 F° 4.8 "
Jun 52.0 F° 63.7 F° 75.4 F° 4.7 "
Jul 57.0 F° 68.5 F° 80.0 F° 4.5 "
Aug 55.4 F° 66.9 F° 78.4 F° 4.2 "
Sep 47.7 F° 59.1 F° 70.4 F° 4.4 "
Oct 36.8 F° 48.2 F° 59.6 F° 3.9 "
Nov 29.0 F° 38.1 F° 47.3 F° 4.1 "
Dec 18.9 F° 27.3 F° 35.7 F° 3.8 "
Spring temperatures are cold with averages in the mid 40's and highs in the mid 50's. Nights are cold with lows in the low 30's. Summer temperatures are mild with averages in the mid 60's and highs in the upper 70's. Nights are cool with lows in the mid 50's. Fall temperatures are cold with averages in the upper 40's and highs in the upper 50's. Nights are cold with lows in the upper 30's. Winter temperatures are cold with averages in the mid 20's and highs in the low 30's. Nights are cold with lows in the mid 10's.